The Board dismissed a Section 2(d) petition for cancellation of a registration for the mark PERMA-SHIELD for "coatings sold as a component part of power saw blades," finding the mark not likely to cause confusion with several PERMA SHIELD and PERMA-SHIELD marks registered by the Andersen Corporation for a variety of window and door products. The Board saw Petitioner's likelihood of confusion claim "as amounting to only a speculative, theoretical possibility," and too tenuous to justify cancellation of the registration. Andersen Corp. v. Freud TMM, Inc., Cancellation No. 92042430 (June 28, 2007) [not precedential]. The "crux" of the matter was the relatedness of the goods. The marks were identical or virtually identical, a factor weighing "heavily "in Andersen's favor. Andersen claimed that its PERMA-SHIELD mark is famous, relying in part on a twenty-year old TTAB decision deeming PERMA-SHIELD a "strong trademark which is entitled to a relatively broad scope of protection." Andersen, however, failed to provide sales figures or evidence of brand awareness, and the old Board decision was given no weight. The Board slammed the door on the fame claim, finding the proofs inadequate, but it did find PERMA-SHIELD to be a "relatively well-known mark." As to the goods, Andersen contended that they travel in the same channels of trade, are purchased by the same consumers, and "function as protective coverings for construction supplies." [I.e., Andersen's PERMA-SHIELD mark "has been used in connection with different types of protective cladding, including vinyl, aluminum and liquid spray-on finishes." 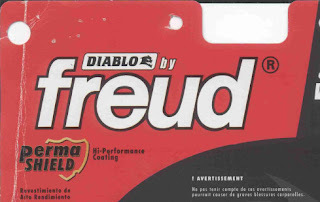 Respondent Freud's coating is an aluminum alloy applied to saw blades.] The Board found the broad contention regarding function to be "off base": "given the distinct and substantial differences between the goods, this common aspect of the goods hardly rises to the level of causing a purchaser to assume that the goods originate from a common source." Moreover, nothing in the record suggested that the supposedly common practice of brand extension and licensing in the construction industry "would involve a mark used for windows and cladding being extended to coatings for saw blades." Although the registrations contain no limitations as to channels of trade, the parties' goods would be offered in different sections of retail stores. Except for one instance, the goods are advertised in different trade and consumer publications to different classes of purchasers. And though Freud's saw blades are priced in the $9-60 range, Andersen's doors and windows sell for around $1000 and would be purchased with some care. "In any event, whether homebuilders or building contractors or woodworking enthusiasts, these prospective purchasers would tend to be more discriminating in their buying decisions than everyday, do-it-yourselfers." 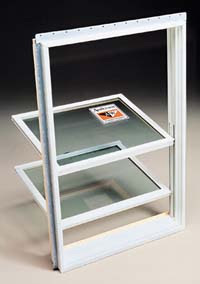 Andersen posited two situations in which a consumer might purchase both products: first; a small contractor who buys both products, cuts a hole in a wall with a saw, and inserts a window, while being exposed to both marks; second, a building contractor who sees both products displayed in a small, lumberyard showroom. The Board, however, found Andersen's claim of likely confusion to amount to "only a speculative, theoretical possibility." Finding the connection between petitioner's goods and respondent's goods to be "so tenuous that the public would not view the goods as having a common source, even when sold under identical marks," the Board dismissed the petition for cancellation.